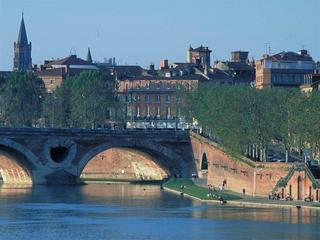 Find huge deals in Toulouse, France that you may book now & pay later! 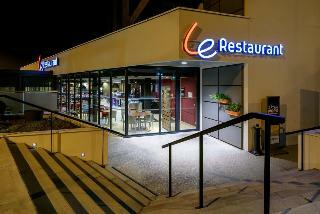 Best prices for in Toulouse, France. A dream vacation for you and your family, guaranteed by our travel consultants. For members-only deals, we recommend using the new filter for deals in Toulouse, France. 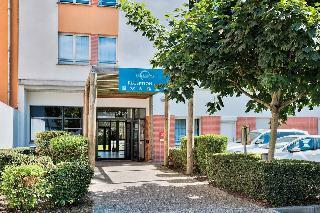 This 3 star hotel is located in the city centre of Toulouse and was established in 1988. It is close to the Capitole Square and the nearest station is Jean Jaures. The Hotel has a restaurant. 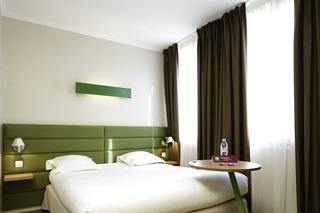 All 104 rooms are equipped with hairdryer, safe, trouser press, ironing set and air conditioning. 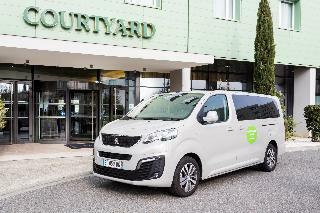 Stay at the Novotel Toulouse Centre Compans Caffarelli hotel and discover the south west of France. In the heart of the "pink city," this contemporary hotel is ideal for both family breaks and business travel. Enjoy the south-western sunshine in our spaci ous rooms, some with balcony, on our terrace or beside the outdoor swimming pool overlooking the park. 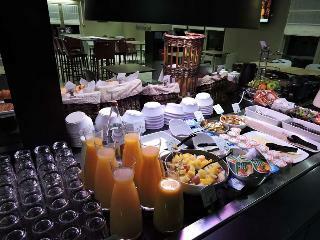 Awaken your tastebuds at the GourmetBar and discover the cuisine of the south west, its flavors and colorful dishes. 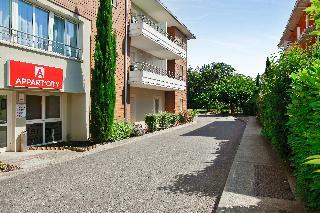 Located near the Zenith venue and very close to the city centre of Toulouse, the Zenitude Residence called Le Domaine de Lardenne caters for your every sojourn needs… Easy to access and very well served by public transportation, our Apart-Hotel proposes 195 functional and fully fitted apartments. With family or friends, come and discover the “Pink City”, take strolls along the Canal du Midi embankment, and relax with the Residence amenities. 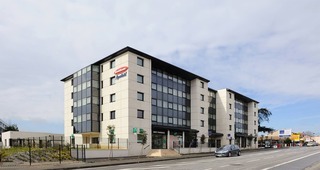 Despite its proximity to Toulouse-Blagnac airport, the Pullman Toulouse Airport hotel is surprisingly quiet. It offers the perfect balance between efficiency and personal well-being. This 4-star hotel has 102 rooms, an inviting restaurant-lounge bar with terrace, heated indoor pool, fitness center with sauna, 5 fully equipped meeting rooms that can accommodate up to 180 people, and free WIFI. Free car park and shuttles. You can be in Place du Capitole in 20 minutes by tram. 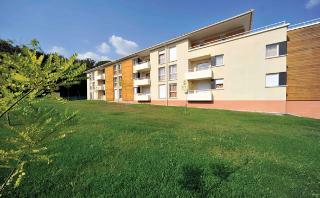 Ideally located downtown, just a stone's throw from Toulouse-Matabiau station and a 10-min walk from place du Capitole. 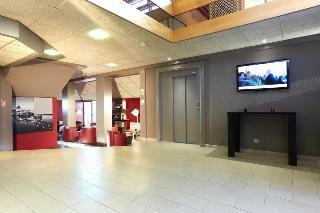 The 5-star Pullman Toulouse Centre hotel welcomes you for your business trips, romantic getaways or family vacations. Relax in the hote l bar and enjoy the bistronomic cuisine in the SW Restaurant. 5380 sq. ft. (500 mÂ²) of modular conference rooms bathed in natural light (perfect for meetings, seminars, weddings), fitness room, private parking. Ideally located in the center of Toulouse, this 4-star holiday residence is a stone's throw from Place Wilson and Place Capitole. 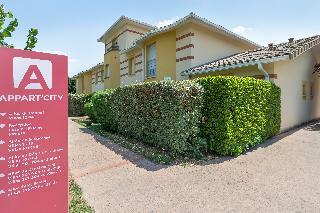 The Adagio Toulouse ParthÃ©non is also 15 minutes from the airport and the Airbus Training Center. Everything has been designed with longer stays in mind; our 99 apartments have a kitchen, separate bedroom, lounge with sofa bed and desk area. Our reception team is available 24 hours a day and there is a daily cleaning service. An example of characteristic Toulouse architecture, the 4-star Mercure Toulouse Centre Wilson Capitole hotel is a beautiful red-brick building in downtown Toulouse, with good metro links to the train station and the conference center. 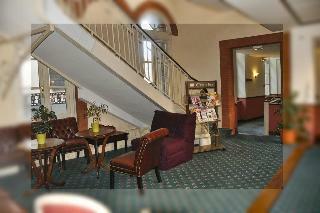 Enjoy fully equipped rooms, some with balconies. In the evening, relax in the lounge bar of the hotel or take advantage of being close to the city center. The hotel is close to Place du Capitole, Place Wilson and Jean-JaurÃ¨s metro stop. 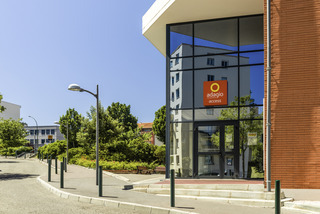 With the attractions of the city center nearby and set in quiet surroundings in the Ville Rose (Pink City), the Mercure Toulouse Centre Compans hotel and its rooms with views of the park are perfect for your business and family stays alike. 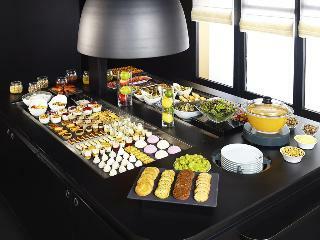 The BarricÃ²t b ar and restaurant serves delicious regional dishes that can be enjoyed either in the bar or on the terrace. 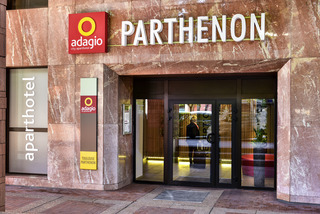 For business trips, our auditorium, our 12 meeting rooms and the Pierre Baudis conference center are all close by. 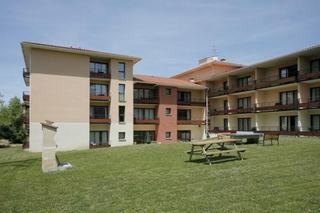 The Palladia is an independent hotel located in Toulouse. The hotel has 90 spacious rooms and suites, an amphitheater with 285 seats, 16 meeting rooms with natural daylight, a cozy lounge bar, a gourmet restaurant with 180 seats, a heated outdoor pool and a fitness room dedicated to the welfare of its customers. 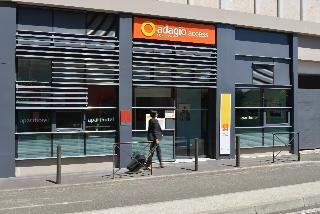 The Adagio Access Toulouse Saint-Cyprien is located at the heart of Toulouse, in the dynamic district of Saint Cyprien and Patte d'Oie. 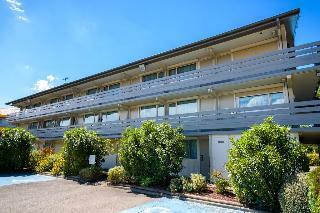 The 90 comfortable and fully equipped apartments in this 3-star holiday residence can accommodate up to 4 people. Place du Capitole is just 15 minutes' walk away and buses and the metro are close by the Aparthotel. The district boasts a daily market and many stores. 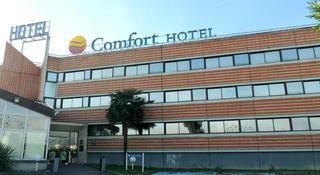 This 4 star hotel is located close to the airport of Toulouse and was established in 2009. 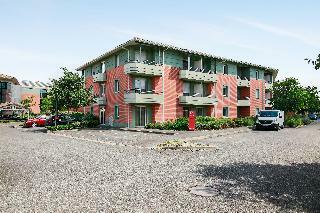 It is a short drive away from the Toulouse City Centre and the nearest station is Arenes. The Hotel has a restaurant, a bar, a conference room, an outdoor swimming pool and a fitness centre/gym. 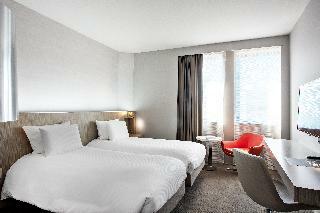 All 186 rooms are equipped with hairdryer, safe, ironing set and air conditioning.